A survey including responses from nearly 300 UK hospital pharmacists shows the growing prevalence of medicines shortages on a daily basis. Six in ten hospital pharmacists in the UK have reported experiencing medicines shortages every day, according to a new survey carried out by the European Association of Hospital Pharmacists (EAHP). 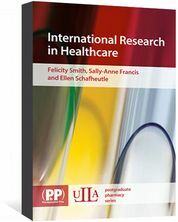 The survey, the results of which were published in a report on 7 November 2018, asked a total of 1,666 hospital pharmacists in 38 countries about their experiences with medicines shortages. It found that 36% of hospital pharmacists experience shortages on a daily basis across the EU. However, the survey revealed the shortages are experienced at nearly twice that rate in the UK, with 60% of hospital pharmacists reporting daily medicines shortages. Participants included 291 pharmacists working in UK hospitals, just under 30% of whom said they experience medicines shortages on a weekly basis — nearly 10% less than those working in the EU (39%). The EAHP, which represents more than 22,000 hospital pharmacists in 35 European countries, said in its report that the supply issues “have become more problematic” since its last survey in 2014, with 92% of respondents in 2018 reporting that the shortages are a problem compared with 86% in 2014. The survey report said that the three drugs most commonly in short supply were antimicrobial agents, preventive medicines (such as vaccines) and oncology medicines. It added that more than half of respondents “have seen patient care delayed as a consequence of medication shortages” and said the pharmacists had reported 12 deaths “as a result of medication shortages”. In May 2018 the European Industrial Pharmacists Group warned that medicines shortages in the EU could get worse following the launch of the Falsified Medicines Directive and Brexit, early in 2019. When questioned about proposed policy solutions, nearly eight in ten of surveyed pharmacists called for “greater legal clarity on the responsibility of manufacturers to report upcoming supply chain issues at an early stage”. In a statement issued alongside the survey, the EAHP called on “national governments and the European Commission to improve the communication on medicines shortages”, adding that the survey revealed some cases of pharmacists “not being aware of supply issues until a delivery did not show up”. Petr Horák, president of the EAHP, said the results of the survey “underline again that medicines shortages are a pan-European problem that cannot be solved through national measures alone. “Consequently, the European Commission should gather information on the factors causing medicines shortages and start to provide solutions that will help to solve preventable shortages,” he added. But she added: “We are definitely, however, experiencing a growing number of shortages of essential medicines in primary and acute care. A great deal of effort at all levels is being directed at trying to pre-empt them and managing and mitigating them when they do occur. 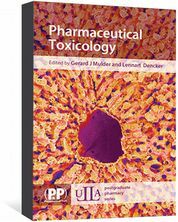 Explains the methodology and requirements of pre-clinical safety assessments of new medicines. Includes registration requirements and pharmacovigilance. 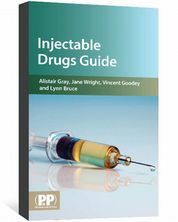 A user friendly, single point of reference for healthcare professionals in the safe and effective administration of injectable medicines.